The FBDCA Breeder Listing Service is provided as a courtesy to our members and the public. The FBDCA is dedicated to promoting and protecting the French Bulldog and its standard (the ideal for which all reputable breeders strive). Our members must have sponsors and agree to adhere to our Code of Ethics which includes above-standard breeding decisions. Click here for a copy of the FBDCA Code of Ethics. Although we hope our members will comply with our goal of excellence in breeding, the FBDCA nor its officers and board of directors do not expressly or impliedly warranty or guarantee, endorse or rate breeders, their kennels or their dogs. Nor does the FBDCA, its officers, or its board of directors assume any responsibility for the quality, health, or temperament of any dog. We encourage all buyers to be informed about adding a dog to their household and should exercise prudent business decisions in purchasing a puppy or dog. We have compiled a list of Questions to ask a breeder that we encourage you to explore with all potential canine sources. 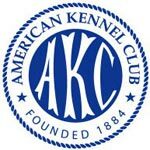 The FBDCA reserves the right to refuse or withdraw any listing without notice which operates in violation of the FBDCA Code of Ethics or is not in good standing with the AKC or the FBDCA. By continuing you acknowledge that you have read, understand, and accept the limitations and conditions above and release the FBDCA, its officers, board of directors, agents or representatives of any claims arising out of the use of this web site. For any transaction involving French Bulldogs, you should have a written contract (NOT an e-mail), mutually agreed upon, and signed by all parties involved. Purchasing a dog is a business transaction and a contract is a means of laying out the terms of the purchase. Contracts generally include a health guarantee, return policy, identification of the dog being purchased, information on AKC registration, and a 3 generation pedigree. BREEDERS PLEASE NOTE: In order to be listed a breeder must have been a club member in good standing for a minimum of three consecutive years, have bred at least one French Bulldog Conformation Champion, and have a clear sales contract stating their health guarantee and return policy. Please fill out the Breeder Listing Service Application. If you have any questions regarding the Breeder’s Listing Service please contact the FBDCA Secretary. CAUTION: Please click French Bulldog Breed Standard to read about what characteristics are desirable, and which are considered disqualifications. 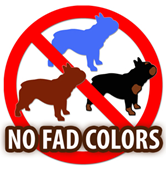 A reputable breeder will NOT breed or sell dogs with disqualifying colors. These include blue, liver, and black-and-tan (the coat that some dachshunds and that dobermans have). Although some people advertise and sell (usually for a very inflated price) Frenchies with what they call “rare” colors, particularly “blue,” this is considered unacceptable by the FBDCA and we recommend that you seek out reputable breeders who breed to our Standard. Amanda Ashley – Allusion French Bulldogs, Perm. Reg’d. Shelley St. John – Robobull French Bulldogs, Perm. Reg’d. Theresa Wilson – KOTUR French Bulldogs, Reg.